Prevalence of autism in children aged 2 to 12 years by year of birth from 1989 to 2003. 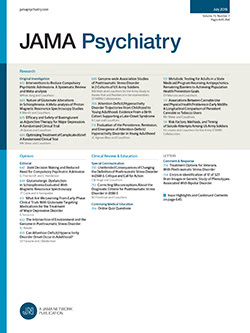 Prevalence is estimated by dividing the number of active status children with autism recorded by the California Department of Developmental Services in June of each year from 1995 to 2006 by the number of live births in California from 1989 to 2003.26 AAP-USPHS indicates American Academy of Pediatrics and the US Public Health Service; Hib, Haemophilus influenzae type b; and PRP-T, polyribosylribitol phosphate conjugated to tetanus toxoid. Comparison of 2 methods to estimate the prevalence of autism in children aged 3 to 5 years by year of birth from 1989 to 2003. Prevalence is estimated by dividing the number of active status children with autism recorded by the California Department of Developmental Services in June of each year from 1995 to 2006 by the number of live births in California from 1989 to 200326 (solid symbols) and the number of children estimated to reside in California each year from 1995 to 200427 (open symbols). Prevalence of autism and total California Department of Developmental Services (DDS) client enrollment reported by the DDS for children aged 3 to 5 years by reporting quarter (Q), January 1, 1995, through March 31, 2007. Prevalence is estimated by dividing the number of active status children with autism28 by the number of live births in California for each quarterly cohort from 1989 to 200326 (solid and dotted lines) and the number of children estimated to reside in California for each quarter from 1995 to 200427 (hashed lines). Context Previous analyses of autism client data reported to the California Department of Developmental Services (DDS) have been interpreted as supporting the hypothesis that autism is caused by exposure to the preservative thimerosal, which contains ethylmercury. The exclusion of thimerosal from childhood vaccines in the United States was accelerated from 1999 to 2001. The Immunization Safety Review Committee of the Institute of Medicine has recommended surveillance of trends in autism as exposure to thimerosal during early childhood has decreased. Objective To determine whether trends in DDS autism client data support the hypothesis that thimerosal exposure is a primary cause of autism. Design, Setting, and Patients Study of time trends in the prevalence by age and birth cohort of children with autism who were active status clients of the DDS from January 1, 1995, through March 31, 2007. Main Outcome Measure Prevalence of autism among children with active status in the DDS. Results The estimated prevalence of autism for children at each year of age from 3 to 12 years increased throughout the study period. The estimated prevalence of DDS clients aged 3 to 5 years with autism increased for each quarter from January 1995 through March 2007. Since 2004, the absolute increase and the rate of increase in DDS clients aged 3 to 5 years with autism were higher than those in DDS clients of the same ages with any eligible condition including autism. Conclusions The DDS data do not show any recent decrease in autism in California despite the exclusion of more than trace levels of thimerosal from nearly all childhood vaccines. The DDS data do not support the hypothesis that exposure to thimerosal during childhood is a primary cause of autism. Vaccines were the major source of thimerosal exposure for young children in the United States before its removal in recent years. Thimerosal has been used to prevent microbial contamination of vaccines, especially those in multidose vials, since the 1930s.6 Before 1991, the combined diphtheria and tetanus toxoids and whole-cell pertussis vaccine (DTP) was the sole thimerosal-containing vaccine (TCV) recommended for all infants and children in the United States. In 1991, Haemophilus influenzae type b (Hib) and hepatitis B virus vaccines were also recommended; most formulations of these newer vaccines contained thimerosal. Prior to any hypothesis that thimerosal might cause autism, the US Food and Drug Administration, in response to its Modernization Act of 1997, compiled and analyzed a list of vaccines and their thimerosal content. By 1999, it became recognized that, under the recommended childhood immunization schedule, infants at 6 months of age were potentially exposed to cumulative doses of ethylmercury that, using an inexact surrogate benchmark in the absence of data, exceeded safety standards (maximum values of which vary from 65-501 μg) for ingestion of another mercury compound, methylmercury.6-8 In July 1999, the American Academy of Pediatrics and the US Public Health Service agreed as a precautionary measure that thimerosal be removed as soon as possible from childhood vaccines while maintaining high vaccination coverage levels of children.7 By 2000, new lots of all Hib and hepatitis B virus vaccines in the United States contained at most trace amounts of thimerosal. By March 2001, all vaccines in the recommended infant immunization schedule for the United States became available with at most trace amounts of thimerosal9; the remaining lots of TCVs had expiration dates in 2002.6 Shortages of the diphtheria and tetanus toxoids and acellular pertussis (DTaP) vaccine during this period10 may have accelerated its use before expiration. A study of 6 vaccine lots released in 2000 estimated that 90% of the doses in the lots had been used within 9 months of release.11 In 2004, inactivated influenza vaccine, frequently administered from multidose vials that contain thimerosal, was newly recommended for all children aged 6 to 23 months in the United States. Based on available estimates, the maximum mercury doses from recommended vaccines for healthy infants younger than 7 months varied from 75 μg in 1990 to 187.5 μg in 1999 and less than 17.9 μg in 2004. For healthy children younger than 2 years, the estimated maximum mercury dose from recommended vaccines varied from 100 μg in 1990 to 237.5 μg in 1999 and less than 40.2 μg in 2004 (modified from 2004 estimates6). To evaluate whether reduced exposure to thimerosal has been associated with a decrease in reported autism, we analyzed DDS data to estimate time trends in the prevalence of autism in children reported in California. Although not inclusive of all children with ASD in California and subject to a variety of administrative and diagnostic biases, the DDS client records represent one of the few data systems available to track time trends in young children during the period in which thimerosal exposure changed in the United States. We find that the prevalence of autism in children 3 years and older reported to DDS has continued to increase regardless of the exclusion of thimerosal from nearly all childhood vaccines. The DDS administers a statewide system of regional centers and developmental centers that serves persons who are substantially disabled because of autism, mental retardation, and other developmental disabilities. Individuals use this system on a voluntary basis. Eligibility is determined and services are provided without regard to citizenship or financial status. Although the system is widely used across different socioeconomic levels and racial and ethnic groups, disparities in utilization may exist. Referrals come from pediatricians, other clinicians, the educational system, family members, and friends. The DDS maintains an archive file of client development evaluation reports (CDER) completed at the regional centers and developmental centers. A CDER is submitted when an individual has a diagnosed developmental disability and has met the eligibility requirements for active status in the DDS system. An individual needs only 1 qualifying condition to achieve active status; clients with more than 1 qualifying condition may be coded under 1 or multiple diagnostic categories. Children with milder forms of developmental disabilities, including Asperger syndrome and pervasive developmental disability not otherwise specified, may not meet eligibility requirements for active status. The CDER is updated periodically as client status changes. Children from birth to their third birthday who are at risk for developmental delays are, for the most part, served under the separate Early Start Program (federal Individuals with Disabilities Education Act [IDEA], part C) administered by the DDS and are infrequently entered into the CDER database until at least 36 months of age. The DDS provided us with CDER data for its clients with active status reported from January 1, 1995, through March 31, 2007. We used 2 approaches to measure the occurrence of ASD during this period of changing exposure to thimerosal. The first approach evaluates the prevalence of autism among children reported to the DDS by birth cohort year for 1989 to 2003, based on archived CDER client records from June of each reporting year from 1995 through 2006. Prevalence was calculated as the number of children with autism reported to the DDS by birth year, divided by the number of live births in California during that calendar year as recorded in the state vital statistics data26 (Figure 1 and Figure 2) and, separately, by the retrospective annual age-specific population estimates from the California Department of Finance,27 currently available through 2004, which attempt to account for mortality and migration (Figure 2). The age of each child with autism was estimated by subtracting the year of birth from the year of the CDER archive data set. Using this approach, we were able to evaluate individual birth year cohorts as they aged. For the second approach, we present data by reporting period for children in the group aged 3 to 5 years from quarterly reports issued by the DDS.28 Prevalence was calculated as the number of children with autism reported by the DDS for this age group, divided by the number of live births for the quarterly cohort26 and, separately, by the number of children aged 3 to 5 years living in California during each quarterly reporting period through 200427 (Figure 3). To obtain quarterly estimates of the population denominators, we divided the difference in population from one year to the next by 4 and added or subtracted this value from the estimate for the previous quarter. We also examined trends in the prevalence of total DDS clients aged 3 to 5 years as an approximate measure of services provided by the DDS over time. Differences in the numbers between reporting periods represent the net change between clients who were newly reported as active status and those who were no longer so reported. Newly reported clients include those individuals with their first CDER, those who had regained active status, and those reported under a new disability category. In the absence of exposure data for individuals or the population, we adjusted published estimates of maximum thimerosal exposure for infants and toddlers6 to reflect subsequent recommendations for influenza vaccine and the fact that the third doses of DTP, DTaP, Hib, and hepatitis B virus vaccines usually have not been recommended before 6 months of age. Based on these estimates, children aged 3 to 5 years (Figure 3) reported to the DDS since the first quarter of 2004 are assumed to have reduced exposure compared with children aged 3 to 5 years reported from 1995 through 2003. We analyzed the trends of prevalence estimates over time by simple linear regression using the free statistics software available from the Office of Research Development and Education29 for a 2-sided test of the null hypothesis that the prevalence was unchanged over time (ie, slope of the trend lines is 0) (Figure 1) and for trend line slope (Figure 3). Figure 1 displays the prevalence of children with autism born from 1989 through 2003 and reported by the DDS from mid-1995 through mid-2006. Consistent with administrative procedures, children younger than 3 years were seldom reported. The estimated prevalence per 1000 live births for children aged 3 years increased from 0.3 for children born in 1993 (and reported by the DDS in 1996) to 1.3 for children born in 2003 (and reported by the DDS in 2006) (slope of linear regression is not equal to 0; P < .001). Prevalence at each age from 4 to 12 years increased monotonically during this period (P < .001 for each age). Results were similar when prevalence was calculated on the basis of state annual age-specific population estimates from 1995 through 2004, rather than live births, to estimate the potential effect of migration and mortality since birth (Figure 2). For each successive birth cohort, prevalence estimates increased with age, stabilizing at approximately 10 years of age. The highest estimated prevalence, at 4.5 cases per 1000 live births, was reached in 2006 for children aged 6 years and born in 2000. Although insufficient time has passed to calculate the prevalence of autism for children 6 years and older born after 2000, the prevalence at ages 3 to 5 years has increased monotonically for each birth year since 1999, during which period exposure to thimerosal has been reduced. Figure 3 shows the prevalence of children aged 3 to 5 years reported by the DDS as active status clients from the first quarter of 1995 through the first quarter of 2007 per 1000 children aged 3 to 5 years, calculated using the number of live births and annual age-specific population estimates through 2004. For each quarter from 1995 through the end of 2003, the prevalence of children aged 3 to 5 years receiving services from the DDS increased with small quarterly fluctuations; the prevalence of autism increased from 0.6 to 2.9 per 1000 live births, and the prevalence for all developmental disabilities (including autism) increased from 5.4 to 8.9 per 1000 live births. From 2004 through March 2007, when we estimate that exposure to TCVs during infancy and early childhood declined, the prevalence of children aged 3 to 5 years receiving services for autism continued to increase from 3.0 to 4.1 per 1000 live births, and the prevalence of all developmental disabilities increased from 9.0 to 9.5 per 1000 live births. During this more recent period, the absolute increase in the prevalence of autism (1.1 per 1000 live births) and the rate of increase in prevalence (slope of regression line of 0.09 cases per 1000 live births per quarter; 95% confidence interval, 0.08-0.09) were higher than the absolute increase in prevalence of all developmental disabilities (0.5 per 1000 live births) and the rate of increase in prevalence (0.04 cases per 1000 live births per quarter; 95% confidence interval, 0.03-0.05). Infants and toddlers in the United States were exposed to more of the ethylmercury-containing preservative, thimerosal, after recommendations in 1991 for universal administration of the hepatitis B virus and Hib vaccines.6 They have been exposed to less thimerosal since at least the national recommendation in 1999 for its removal from childhood vaccines.7 If thimerosal exposure is a primary cause of autism, then the prevalence of autism would be predicted to decrease as young children's exposure to thimerosal has sharply decreased to its lowest levels in decades. We have instead found that the prevalence of autism in children reported to the DDS has increased consistently for children born from 1989 through 2003, inclusive of the period when exposure to TCVs has declined. Moreover, since 2004, the absolute increase and the rate of increase in DDS clients aged 3 to 5 years with autism were higher than those in DDS clients of the same ages with any eligible condition, including autism. These time trends are inconsistent with the hypothesis that thimerosal exposure is a primary cause of autism in California. At least 2 previous investigations20,30 have concluded that statewide time trend data from the DDS are supportive of thimerosal as a cause of autism. An ecological study20 presented to the IOM Immunization Safety Committee in 2001 displayed trends by birth year that were similar for the prevalence of autism reported by the DDS and for the estimated thimerosal exposures from vaccination by 19 to 35 months of age, with both trends peaking for children born in 1994. However, the apparent decline in autism prevalence after 1994 reflected incomplete ascertainment because children born in more recent years had had a briefer opportunity to be reported compared with children born in earlier years. With the availability of subsequent DDS data (Figure 1), the prevalence estimates of autism for children born each year from 1995 to 2003 have since exceeded that for children born in 1994. Consequently, trends in autism prevalence and estimated thimerosal exposure are no longer synchronous. In the study presented to the IOM Immunization Safety Committee,20 thimerosal exposures were estimated to have decreased for children born after 1994 because of the licensure in 1993 of a formulation of the Hib vaccine (polyribosylribitol phosphate [PRP] conjugated to tetanus toxoid [PRP-T]) that contained no thimerosal, in contrast to competing formulations at that time (PRP conjugated to Neisseria meningitidis outer membrane protein complex [PRP-OMP] and PRP conjugated to Corynebacterium diphtheriae CRM197 protein [PRP-CRM] conjugate vaccines). If this model of exposure is accurate, then the reduction in thimerosal exposure from 1999 through 2002 was preceded by an initial decline from 1994 through 1999. We could find no corresponding decline in autism prevalence, whether beginning after 1994 or after 1999. A recent second report30 concluded that a rise and fall in the marginal quarterly increase of DDS autism clients “correspond(s) directly with the expansion and subsequent contraction of the cumulative mercury dose to which children were exposed from TCVs through the US immunization schedule.”30(p8) This report is fundamentally limited because it evaluated the trend in quarterly increases in DDS autism clients without consideration of the age of all or new clients or of the population denominator. When we instead analyzed DDS data to measure prevalence for all autism clients by birth year or by age, we found no fall in autism prevalence to correspond with declining thimerosal exposure. Our findings are in concordance with the rigorous 2004 review of at least 12 previous published and unpublished studies12-25 by the IOM Immunization Safety Committee, which concluded that the body of evidence rejected a causal relationship between TCVs and autism. In one of these studies, Hviid and colleagues16 found that the prevalence of autism in Denmark increased from 1991 through 1996 despite the exclusion of thimerosal in routine childhood vaccines. Epidemiologic data31-33 published after the IOM Immunization Safety Committee report also fail to support a causal relationship between thimerosal exposure and autism. Fombonne and colleagues32 recently calculated the prevalence of pervasive developmental disorders in more than 27 000 students in the greater Montreal area of Quebec, Canada, born from 1987 through 1998. Children born from 1996 through 1998 received routinely recommended vaccines that contained no thimerosal, yet their prevalence of pervasive developmental disorders was significantly higher than that of older children who had received vaccines with thimerosal (8.3 per 1000 compared with 6.0 per 1000). Results were reported to be similar for the subset of children with the specific diagnosis of autistic disorder. The DDS data are generated from an administrative system that was designed to track complex enrollment and fiscal data, not to measure the occurrence of developmental disabilities in the population. We used DDS data to test the hypothesis that thimerosal is a primary cause of autism despite the inherent limitations of the data, many of which have been noted by the DDS.34 A major limitation is that the DDS database does not include all children with autism in California. The proportion of all children with autism who are served by the DDS may have been affected by program budget constraints, administrative guidelines, and trends toward diagnosis at younger ages. In 2003, California state law aligned its definition of “substantial disability” with the federal definition of significant functional limitations in 3 or more areas of major life activity.35 This alignment may have restricted eligibility for services and therefore new admissions at some regional centers after August 2003. Had this redefinition not occurred, the increase in prevalence in children with autism reported by the DDS after 2004, when thimerosal exposure has been lower, might have been even greater. In addition, time trends in possible diagnostic substitution in the recording of multiple conditions for individual children within the DDS or the CDER database can be assessed only through corroborative medical record review. Given these limitations of the data and of ecological studies in general, we have not attempted to analyze whether thimerosal is a cause or modifier of autism in a specific subgroup or child. Our analysis is further limited by the paucity of actual data on the maximum or average thimerosal exposure in California for comparison with trends in autism. Although vaccinations have been the primary source of exposure to thimerosal in childhood, a small proportion of young children during the study period would have had additional thimerosal exposure in utero through maternal immunization during pregnancy with vaccines or Rho(D) immune globulin.33 Similarly, sources of methylmercury exposure such as fish or human milk could not be evaluated. Among its strengths, the DDS CDER database is a population-based system representing the most populous state. The client reporting form was consistent throughout the study period. The hypothesis that a modifiable risk factor, such as thimerosal exposure, is a major cause of autism offers the hope for prevention through reduced exposure. Although our analysis of DDS data shows an increase in autism in California despite the removal of thimerosal from most vaccines, we support the continued quest for the timely discovery of modifiable risk factors for autism and related conditions. Continuing evaluation of the trends in the prevalence of autism for children born in recent years is warranted to confirm our findings. Correspondence: Robert Schechter, MD, MSc, Immunization Branch, California Department of Public Health, 850 Marina Bay Pkwy, Richmond, CA 94804 (R.Schechter@cdph.ca.gov). Submitted for Publication: February 9, 2007; final revision received May 18, 2007; accepted June 4, 2007. Author Contributions: Drs Schechter and Grether had full access to all of the data in the study and take responsibility for the integrity of the data and the accuracy of the data analysis. Funding/Support: This study was supported through the California Department of Public Health. Previous Presentation: This study was presented in part at the Sixth International Meeting for Autism Research; May 5, 2007; Seattle, Washington. Additional Contributions: The DDS provided the data sets for these analyses, contributed to our understanding of the complexities of this administrative database, and reviewed the manuscript for accuracy in the description of DDS data. Any errors in calculation or interpretation of data are those of the authors, not DDS. Yinge Qian, MS, and Meredith Anderson, MA, provided meticulous help with data analysis and presentation for Figure 3.